Stephen P. Toon PhD is an executive leader with 30 years of comprehensive experience in industrial bioprocess management, business development, and process technology uniquely integrating commercial operations expertise and business development with a trained scientific background. His career path is differentiated by a proven track record of 20 product commercialization successes led at stages from conception through full scale production. This success is based in leading multi-disciplinary teams for complex technology development and operations scale-ups within large corporations and VC backed start-up companies including greenfield start-ups and contract manufacturing relationships. 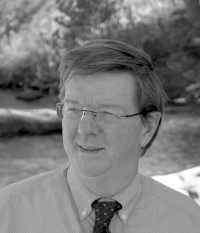 Steve is currently an independent consultant advising a number of clients in the biobased industry on projects ranging from angel investments through full scale commercialization. He has previously held executive roles with Gevo, OPXBio and Verenium. He spent 10 years with Cargill in senior scientist and plant operations positions. Steve begn his career as a scientist with the National Renewable Energy Laboratory. He holds a PhD from the University of Denver and BS,MS degrees from the University of Arkansas.